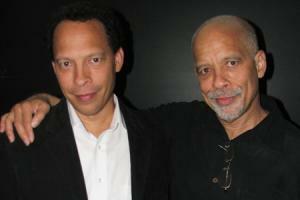 The author of “The Book of Negroes” Lawrence Hill and the singer of the hit songs “Sometimes when we touch” and “Can’t we Try” (with Vonda Shepard) Dan Hill are brothers? Yep, their father – Daniel Grafton Hill – was a Black Canadian historian and human rights specialist. He moved to Canada from Missouri at age 25 and studied at the University of Toronto. He founded the Ontario Black History Society (OBHS) in 1978 and was also Ontario Ombudsman from 1984-1989. I didn’t know that Dan Hill was related to Lawrence Hill until I hosted the book club at a public library branch and one of the members told me (we were discussing “The Book of Negroes” that month) . I always loved Dan Hill’s voice, and after reading this last book, I now love Lawrence Hill’s writing. I didn’t know their father was such an accomplished historian and activist however. What a talented family! Thank you TNL for keeping us in the knowledge loop!